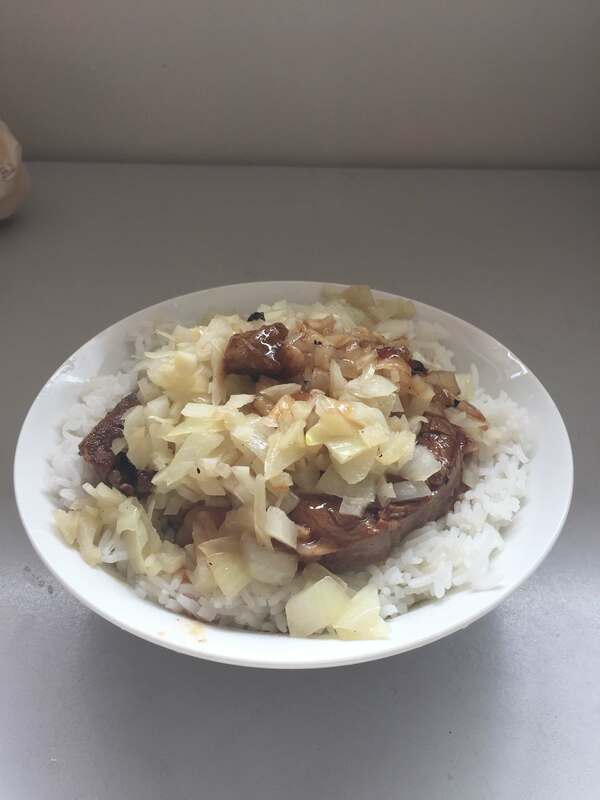 A couple days ago I saw some recipes from Shokugeki no Soma and noticed this Chaliapin steak don only requires steak and onion which I happened have both at home. Also, it is quite easy to cook, so I tried to cook this myself. I don’t have pickled plum, so the rice is just plain rice. Besides, I’m too lazy to season the steak for half an hour. It still tastes good though.